Latest Update: TSSPDCL AE Notification 2018 is published for 153 Assistant Engineer (Electrical & Civil) vacancies. Apply Online for TSSPDCL AE Recruitment from 2nd to 19th February 2018. Refer below for more details of Telangana SPDCL. TSSPDCL AE Syllabus 2018 is updated here. Check Telangana State Southern Power Distribution Company Limited Assistant Engineer Syllabus 2018 along with the Exam Pattern. Get Telangana State SPDCL AE Syllabus 2018, Marking Scheme, Study Material, Study Plan Tips for Preparation. Visit www.tssouthernpower.cgg.gov.in for detailed Notification Details, TSSPDCL Syllabus and Exam Pattern. Know TSSPDCL Selection Procedure. Download Telangana State AE Syllabus Pdf for free from the links given below. If any notification is released the first step the aspirants will look for is to collect the exact and the precise TSSPDCL AE Syllabus. Hence we are giving the detailed and the accurate Telangana Exam Syllabus in the below sections so that they can prepare well for the Exam. Just preparing for the Exam won’t help the candidates to succeed in their Exams and reach their goals, but instead, they need to practice the topics they have revised and learned and also they need to assess their knowledge before going to attend the Exam. Assessments help the candidates a lot to know how much portion they have covered for the Exam from the given Telangana SPCDL AE Syllabus 2018. The aspirants can also understand how much is remaining that is to be covered. If the individuals can know assess themselves that the time taken for them to solve the Problems and also the difficulty level of the questions they can solve, then they can clear the Written Test efficiently. Along with the TSSPDCL Exam Syllabus, Model Papers are also important for the candidates. Individuals can get the free links to download Telanagana SPDCL Syllabus, Exam Pattern, Recruitment Notification and also Previous Papers. Recruitments play an important role in the success of an organization. Always the organization wants to select the best candidates for its business. So the candidates want to prove themselves as the best and the efficient individuals. The aspirants can prove themselves by clearing the Written Tests. To clear the Written Tests of this latest employment news, TSSPDCL AE Syllabus is important for the candidates to crack the Exam efficiently. Hence we are providing the Telangana SPDCL Exam Syllabus along with Exam Pattern. 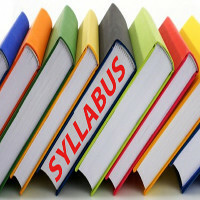 Download TS SPDCL Syllabus Pdf for free from the links given below. The aspirants can know the TSSPDCL Exam Pattern helps the candidates to know the difficulty level of each subject that is given in TSSPDCL AE Syllabus. If the candidates know the difficulty level of the topics, then they can understand and schedule their time to learn the maximum topics that are to be covered in the Exam. Telangana SPDCL Exam Pattern helps the individuals to decide the topics that they can study. If they feel any topic as tough, they can leave that topic and concentrate on the other topics so that they can score the expected marks. The given Exam Pattern for TSSPDCL is only for reference, the actual and the accurate exam pattern will be uploaded here as soon as the official notification is released. Check below for TSSPDCL Assistant Engineer Exam Pattern in the tabulated format. Note down all the topics of TSSPDCL AE Syllabus 2018 before starting your preparation. The aspirants must concentrate on each and every topic and subject that are given below to score the expected marks. Micro Processors and Micro Controllers. Stay tuned to Entrance Exams Page for TSSPDCL Syllabus for EEE 2018 and also Exam Pattern. Bookmark our page for Notification Details, Previous Papers, Admit Cards, Answer Keys, Cut Off, Results. Our team wishes all the best for all the aspirants! !